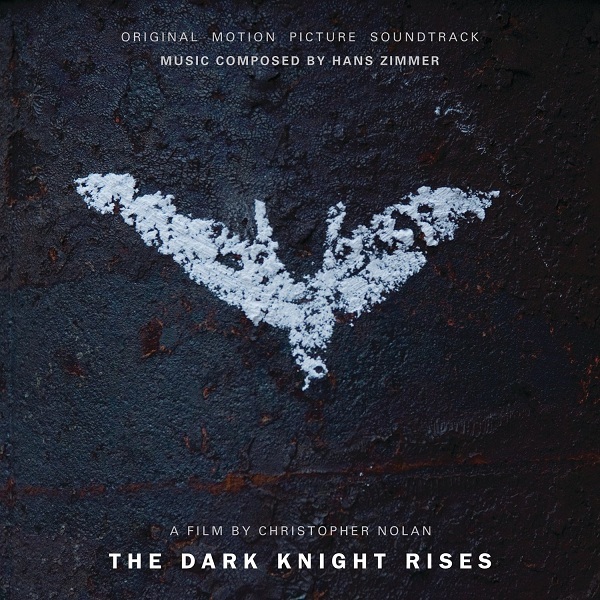 Warner Bros. Pictures has released this new international TV spot for Christopher Nolan’s The Dark Knight Rises and a track listing and cover of the soundtrack have also been revealed, thanks to JWFan.com. Leading an all-star international cast, Oscar winner Christian Bale again plays the dual role of Bruce Wayne/Batman. The July 20 release also stars Anne Hathaway as Selina Kyle; Tom Hardy as Bane; Oscar winner Marion Cotillard as Miranda Tate; and Joseph Gordon-Levitt as John Blake. Returning to the main cast, Oscar winner Michael Caine plays Alfred; Gary Oldman is Commissioner Gordon; and Oscar winner Morgan Freeman reprises the role of Lucius Fox.